Crafted in flawless optical crystal, this stunning 8cm wedge shaped paperweight will look the part on any desk or in any office. Perfect as a corporate gift, incentive or promotional item, it is also suitable to use to mark a special occasion or event. 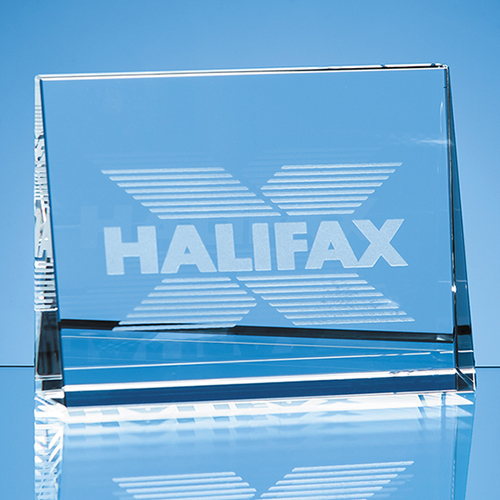 With a generous area to engrave a crest, company logo or message, it comes in its own foam lined presentation box.